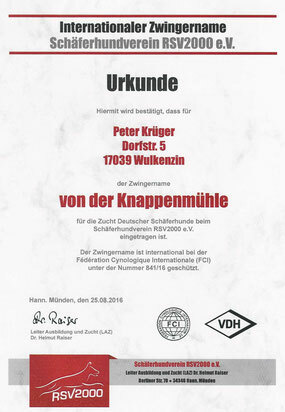 Since 1978 I have been breeding German Shepherd Dogs under my kennel name - von der Knappenmühle. I strive to breed healthy and confident German Shepherd Dogs with a great temperament. We have produced dogs that are currently serving as active police dogs, participate in a variet of sports or simply live as active family pets all over the world. After 38 years and 59 litters within the SV e.V, I decided to continue my activities with the RSV2000. 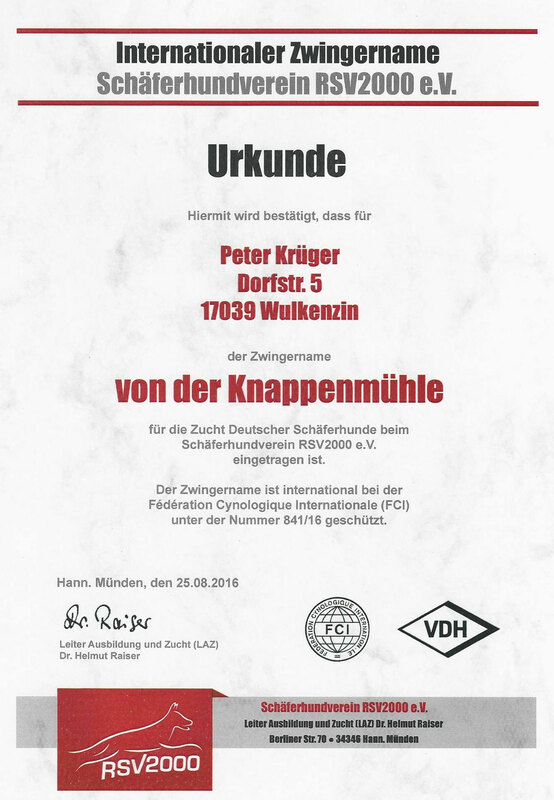 The German Shepherd Dog Club RSV 2000 was founded on June 23rd 2007 by Dr. Helmut Raiser. The goal is to improve the GSD as a working dog. We stand behind the RSV and fully support it's philosophy. If you are interested in one of our puppies or an adult dog, don't hesitate to contact us.